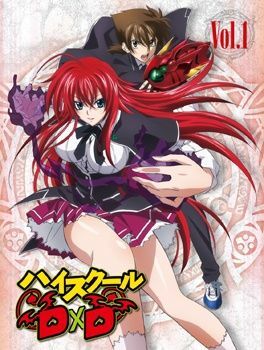 A series of 3-5 minute specials that were bundled with the HighSchool DxD DVD and Blu-rays. They are a stand alone set of episodes that are not a part of any story line in particular. Special 1: Going Sunbathing! - The Occult Research Club goes on a beach outing. Special 2: Issei's Private Training! - Issei is being given lessons in magic by Akeno. Special 3: A Little Bold, Koneko-Chan... Nyan! - Koneko accidentally has her personality reversed magically, making her incredibly sexually active and reversing her sexual preference. Special 4: The Untold Story of The Dress Break's Birth! - A few flashbacks of how Issei first found out and eventually perfected his special move, Dress Break. Special 6: Asia Transforms! - Asia wants to prove she is just as bad as any demon by using ideas found in Issei's magazines, going as far as dressing up like a harlot and seducing him.